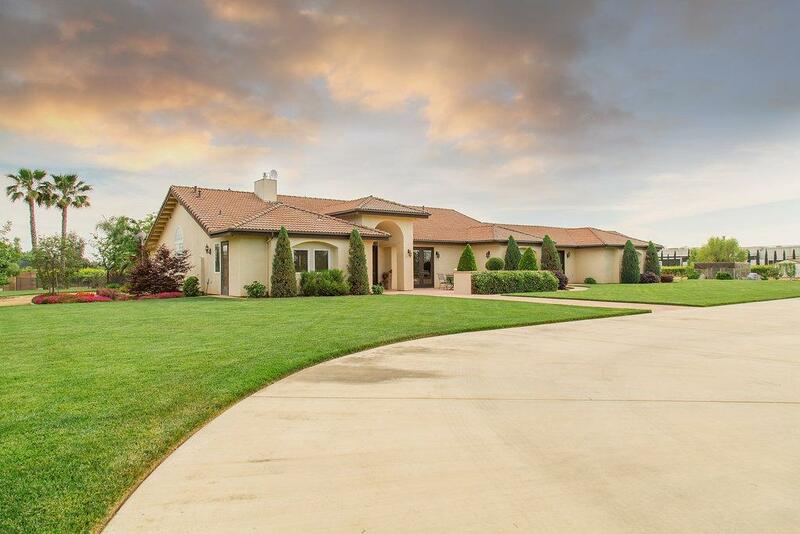 Stunning vineyard estate in Clay School District! 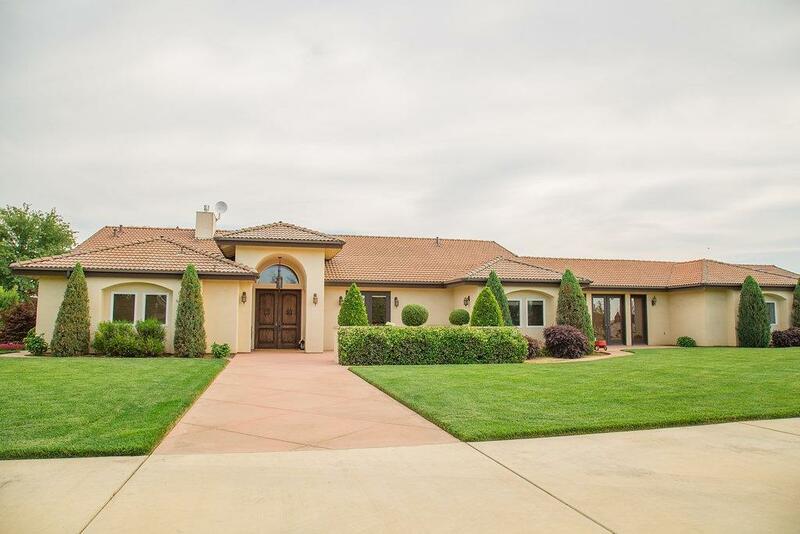 Lovingly cared for by the original owners, this home shines with pride of ownership. Entering the home, you'll be greeted by a barreled-ceiling entry way, beautiful hardwood floors, and towering vaulted ceilings with authentic wood beams. A chef's kitchen opens to the family room and includes custom cabinetry, a center island, a gas cooktop and granite counter tops. The master suite is a true retreat with french doors to the patio and a luxurious bathroom that includes a large spa tub, spacious shower, dual sinks and a vanity space. Three additional bedrooms, 2 additional bathrooms, an office, and a game room complete the floor plan. Paradise can be found in the backyard with the sparkling pool and roomy patio area. 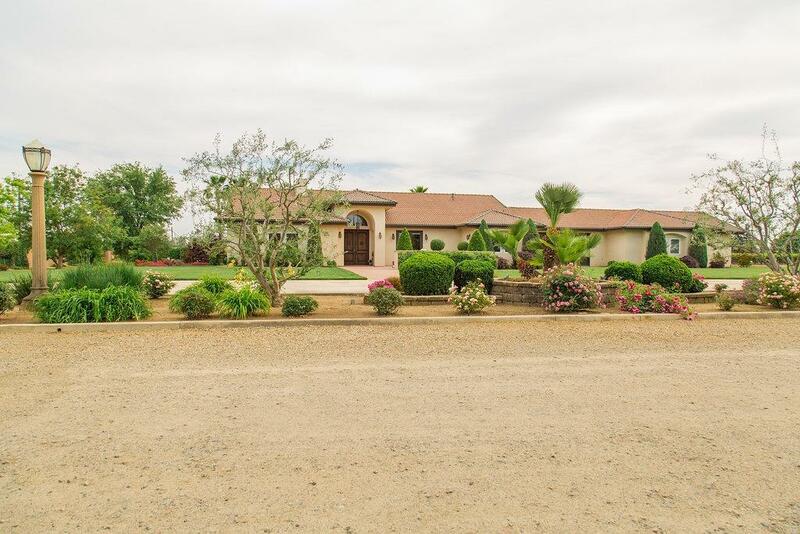 The grounds feature manicured landscaping, a family orchard, OWNED solar, and a second home site that has been county approved (per seller). 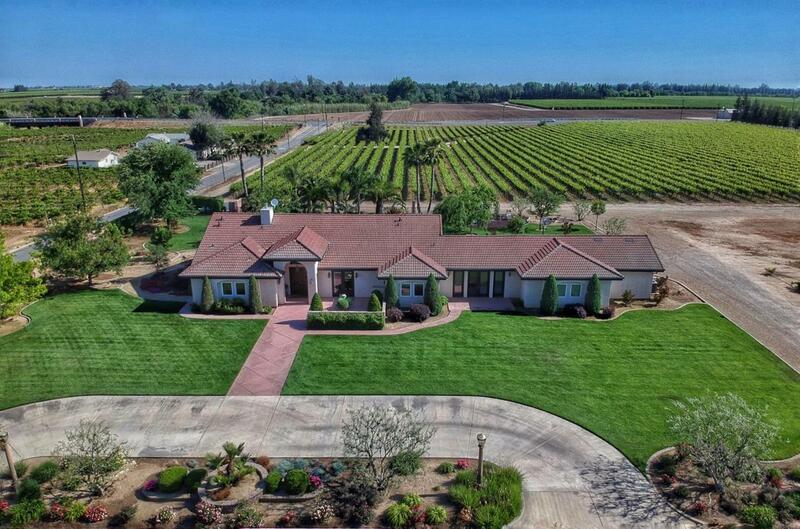 Just over 15 fully fenced acres, most of which is planted to Scarlet table grapes.